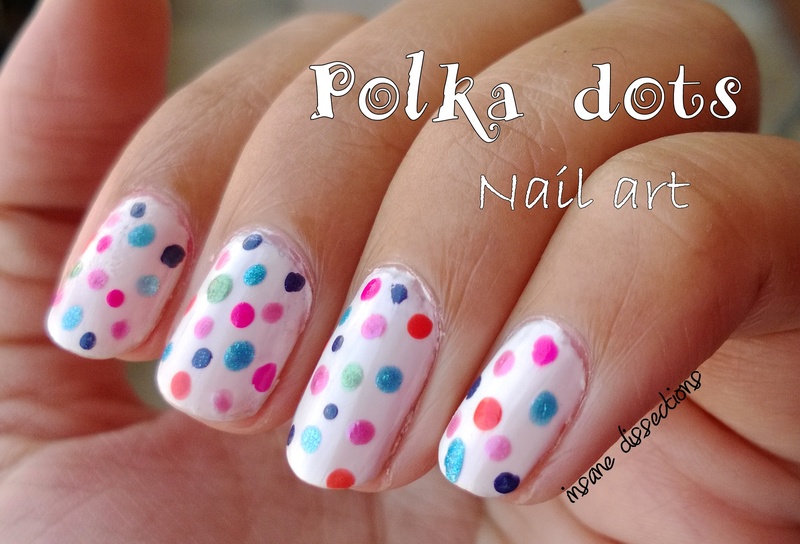 Polka dots is the retro-est nail art there can ever be. 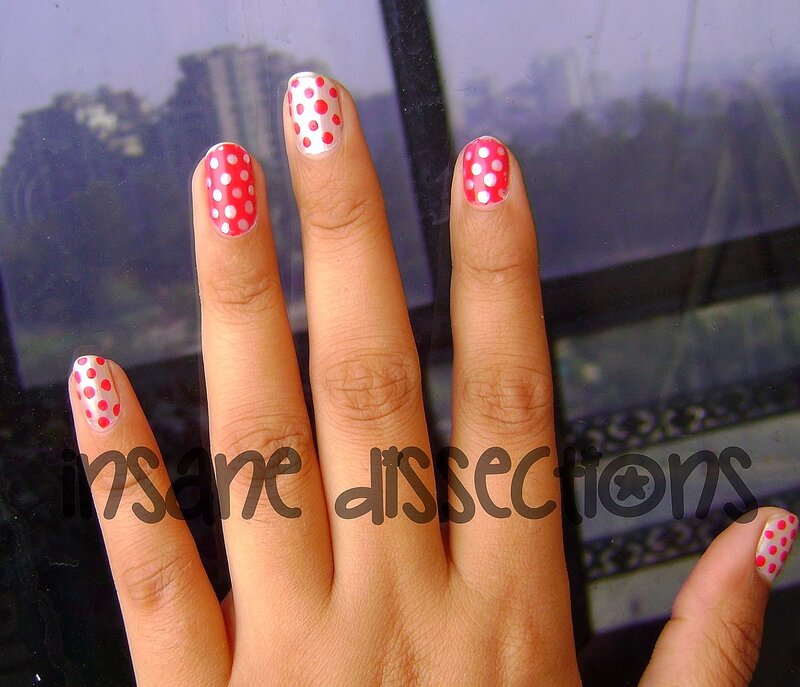 You say Polka dots and the old Bollywood songs flash in front of your eyes where the actress wore polka dotted dresses and matching hairbands. 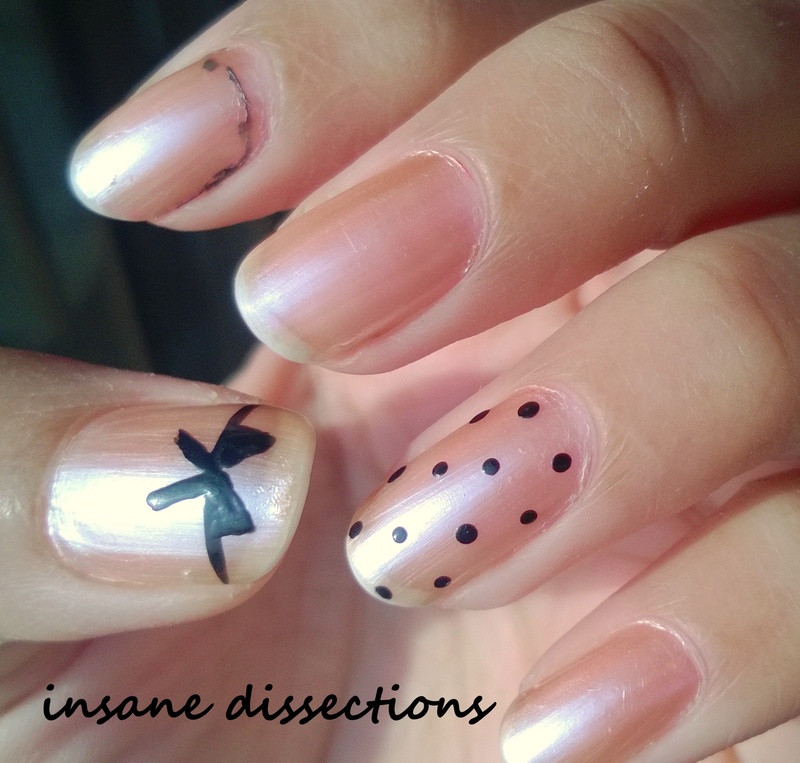 This is one of the easiest and the least time-consuming of all nail art. 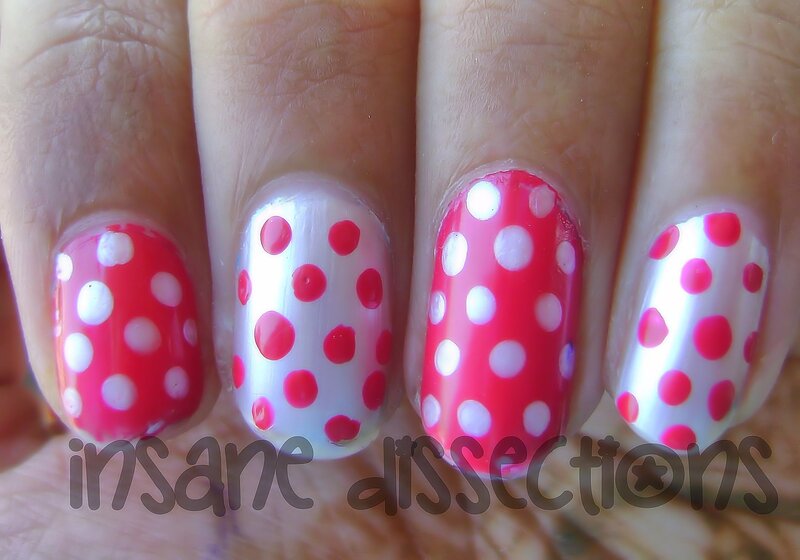 Also, one of my favorites. 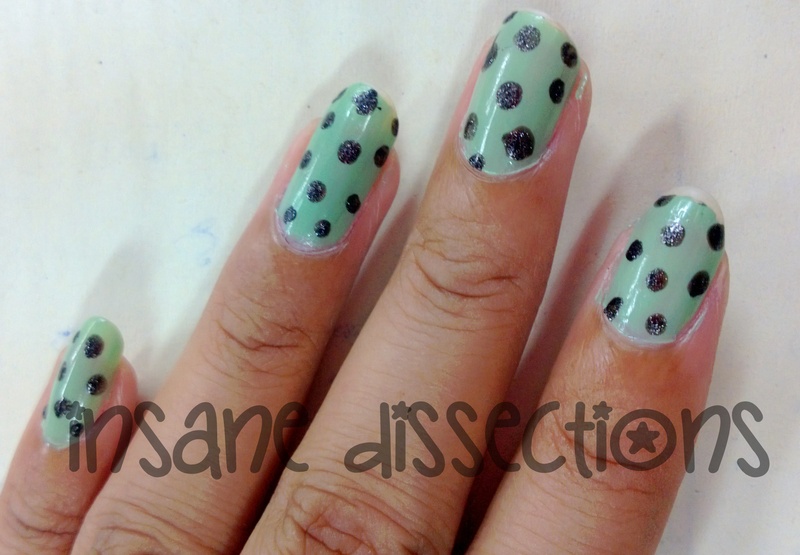 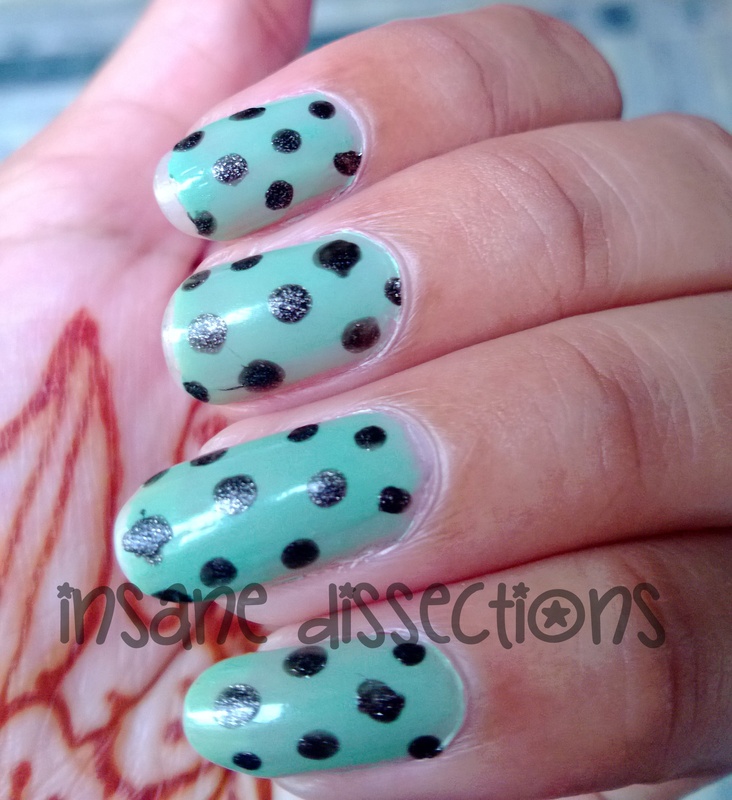 I wanted to wear mint color and later decided for glittery black dots. 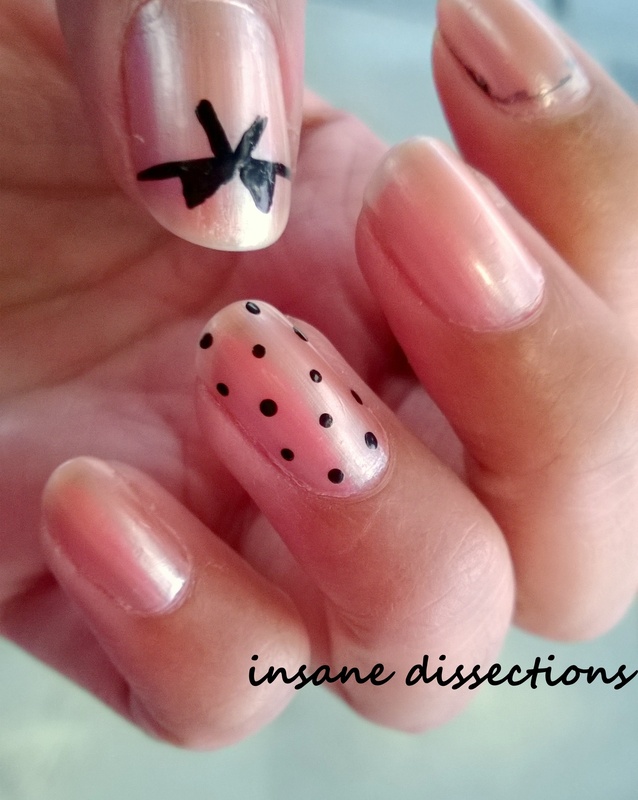 No dotting tools were used. 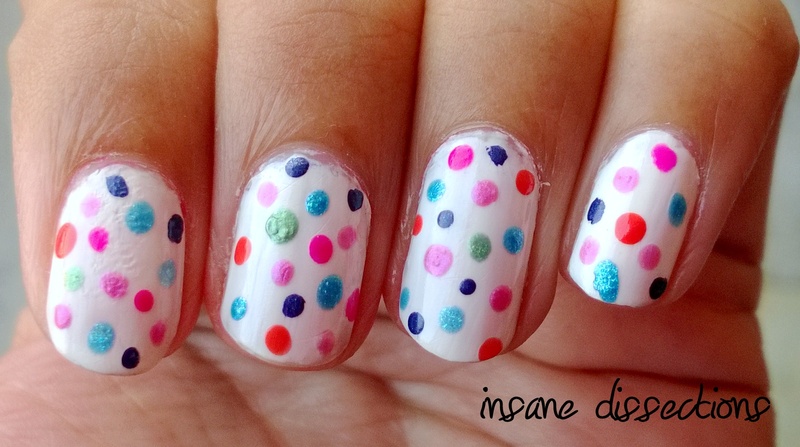 The dots were made using a toothpick. 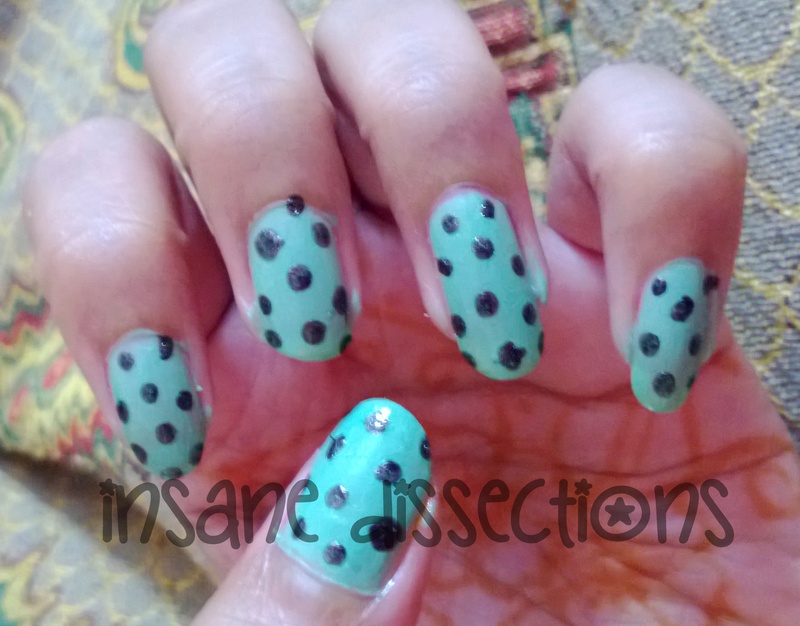 The mint green polish used here is Maybelline colorama in shade ‘Absinto’. 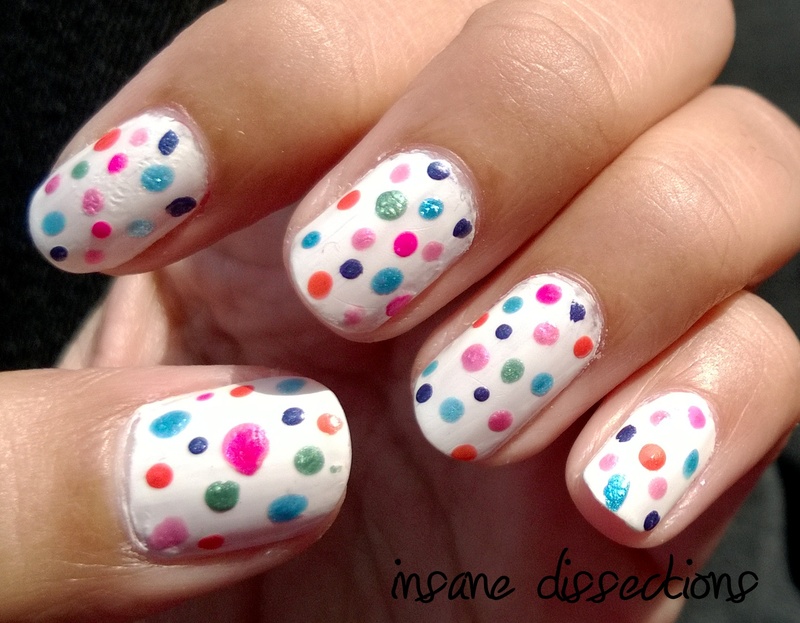 The dots are made using Colorbar nail polish in shade ‘Night Fiery’. 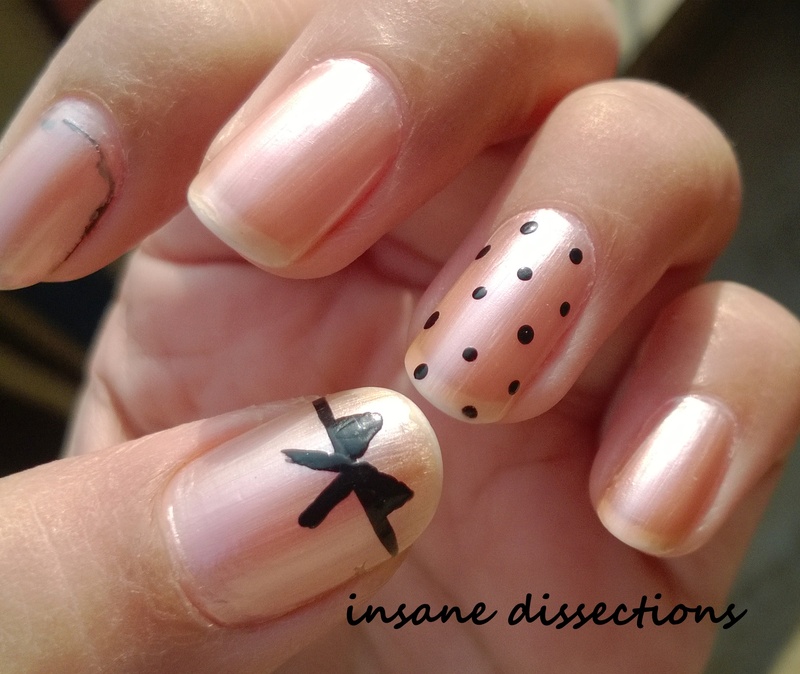 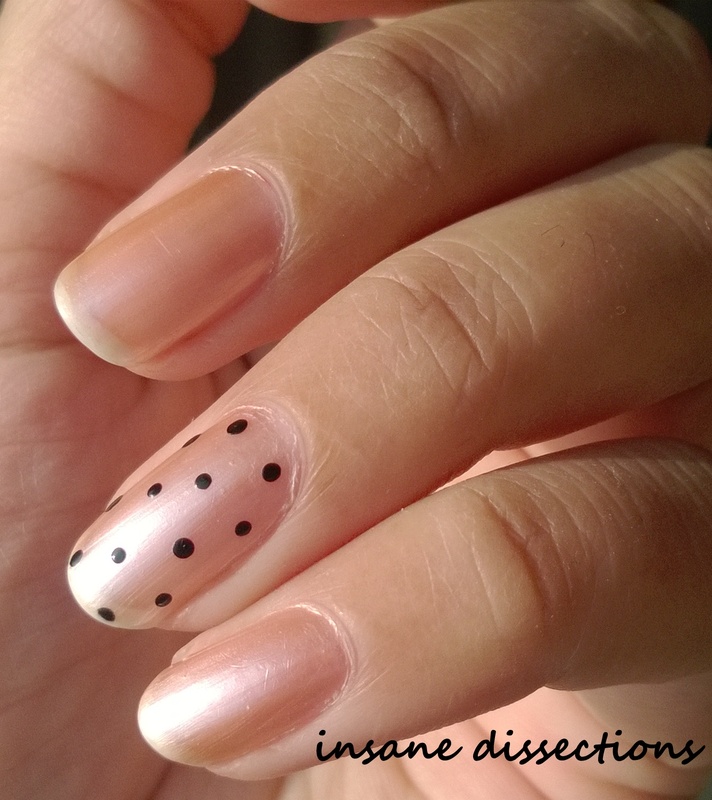 I used neither and dotted free hand using the nail polish brush itself. 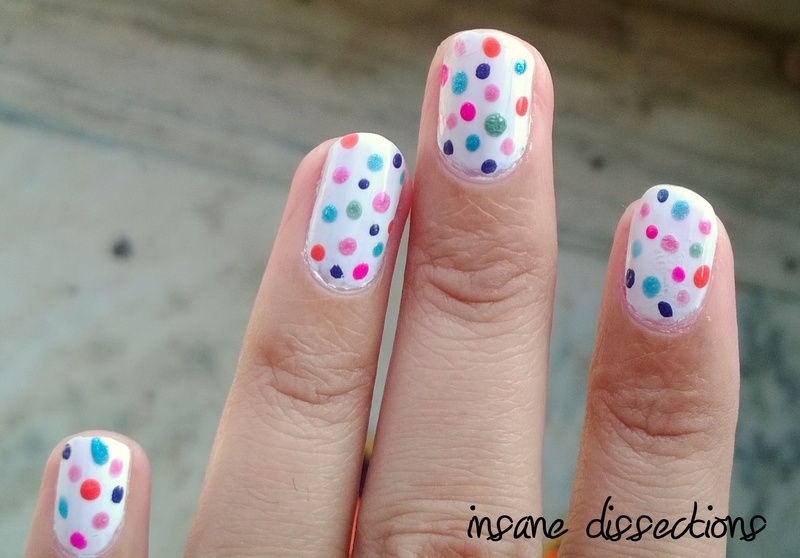 This color combination gives it a retro look..don’t you think? 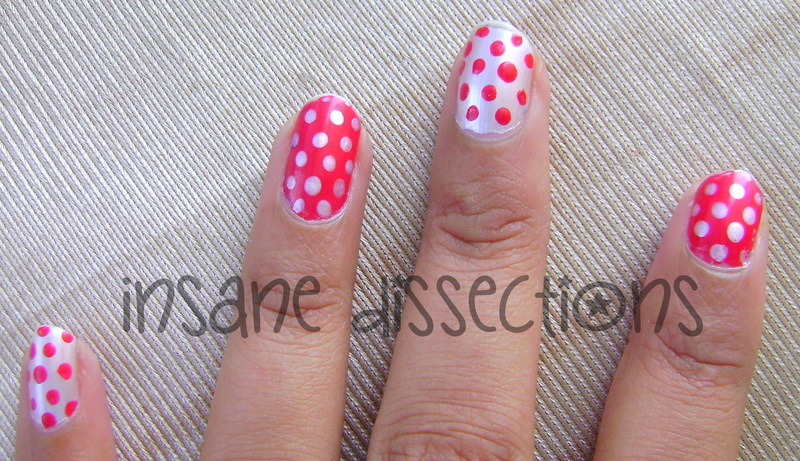 You can paint all nails with one color or alternate with two like I have done.